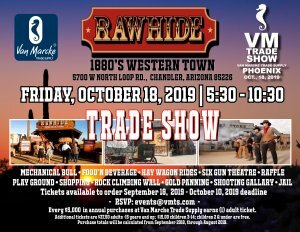 Join Van Marcke Plumbing Supply October 18, 2019, for a customer appreciation evening at Rawhide Western Town. See a store manager for details. Van Marcke’s Trade Show will be at Rawhide Western Town. October 18, 2019.